Check out France's fabuleuse First Lady on Dave yesterday. Then check Carla Sings to hear her sing songs featured in La Mom's Musique Bar. As Carla tells Dave, she lives part time at the Presidential Palace and part time here in the 16th arrondissement (5 minutes away from moi!) The neighborhood traffic jams up when Daddy Sarkozy comes to visit with his entourage of 10 cars. I wonder which multi-million euro house is hers? She was also on the Today Show this morning. I didn't get a chance to stop and watch, so I am not sure who was interviewing her. Say hello to your neighbor for us Americans! Thanks for the info. Isn't La Carla just lovely? I'll be back to your blog soon...I had a nasty PC virus for the last week. 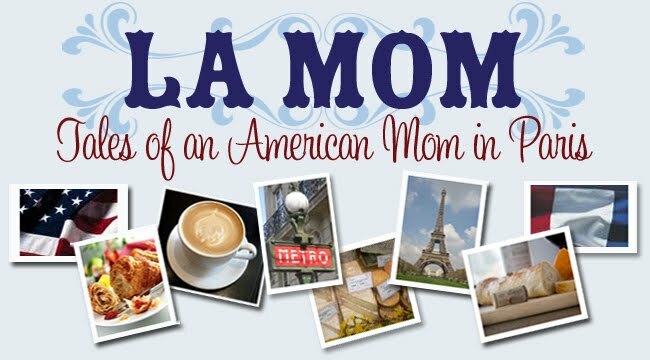 I've only posted the necessary from L'Amie's computer - no mommy friend blogs like yours were visited. Saw her on the Today Show this morning. Matt Lauer seemed smitten with her. And Al Roker couldn't stop commenting on the modeling footage they showed every time they talked about her. She did sing, though, and I loved the song but can't remember the name. Maybe you should sneak a photo of your neighbor so we can see how she looks on a regular day. Hi Cancer Mom, You're absolutely right - Matt seems very happy to be next to her (my husband would be too). She's singing "Le Temps Perdue" (Lost Time) and she looks like she's about to lick that microphone! Ahh...I am so jealous...i wanna live in Paris! I can only imagine the shopping that must be at your disposal...NO FAIR!